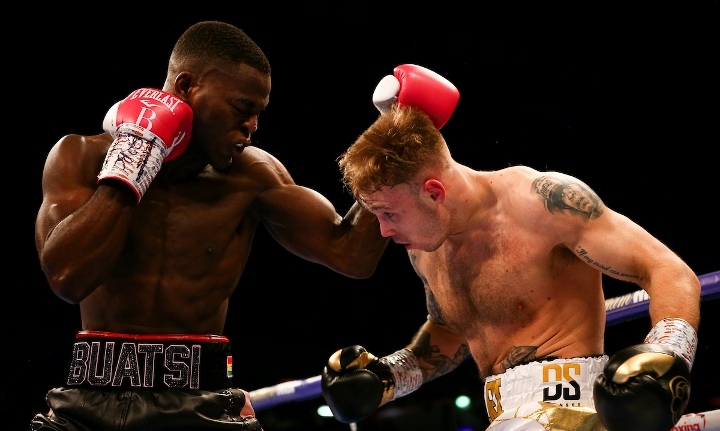 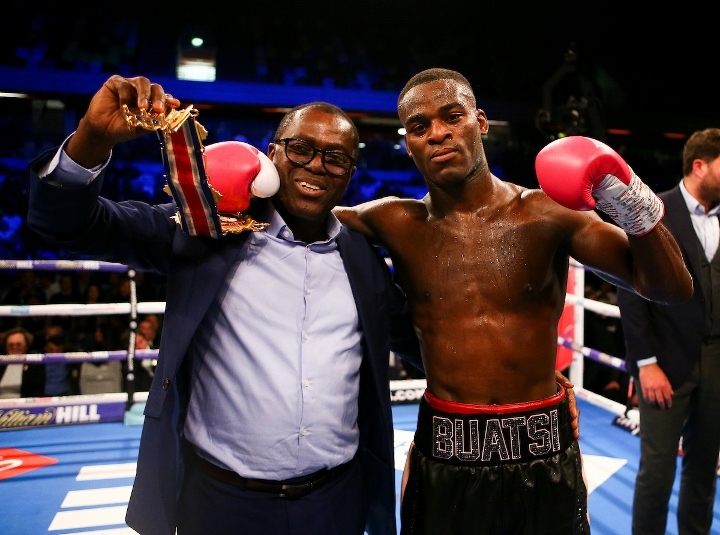 Liam Conroy (16-4-1) managed to end the three-fight first round KO streak of Joshua Buatsi (10-0) but could not prevent the Ghana-born Brit claiming the vacant British light-heavyweight title with a brutally efficient third-round stoppage at London’s Copper Box Arena. 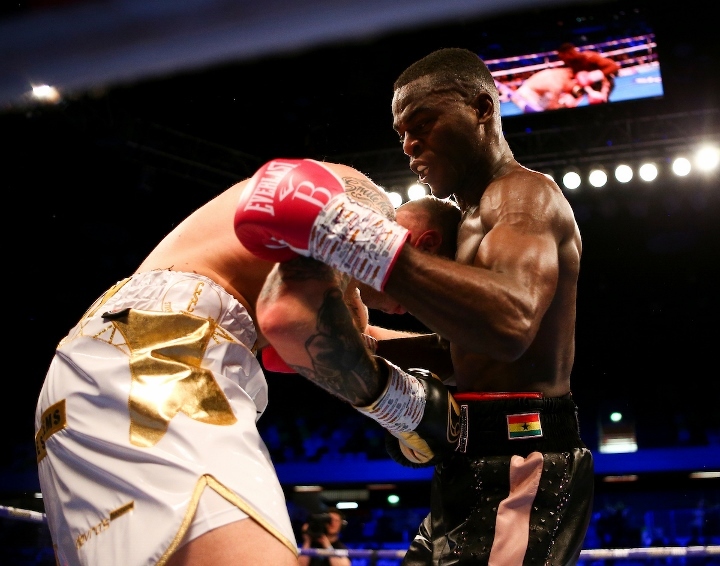 The title was vacated by Callum Johnson who moved up to world level when challenging IBF champion Artur Beterbiev last October. 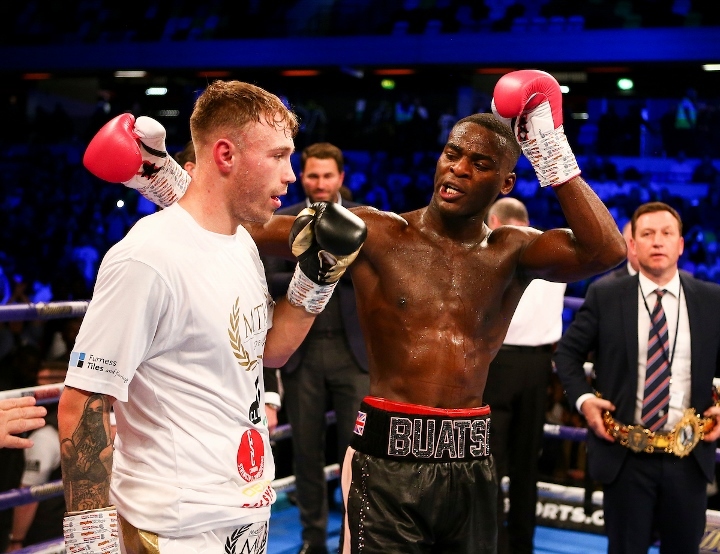 Buatsi was smooth and relaxed as the fight began but turned the heat up at the end of the second, hurting Conroy with a right hand which made the Barrow-in-Furness man wince. 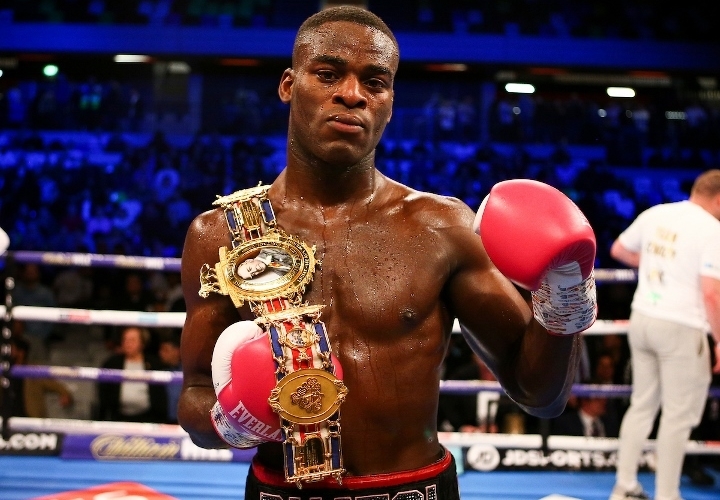 The 2016 Olympic bronze medalist has such an aesthetically pleasing style, a superb boxer-puncher. 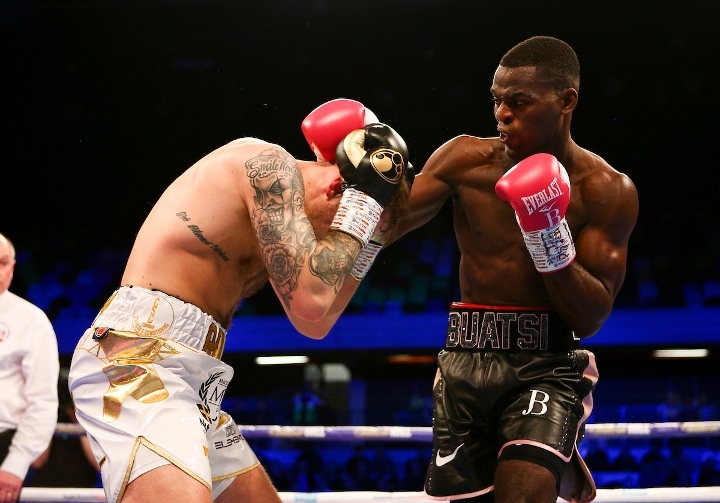 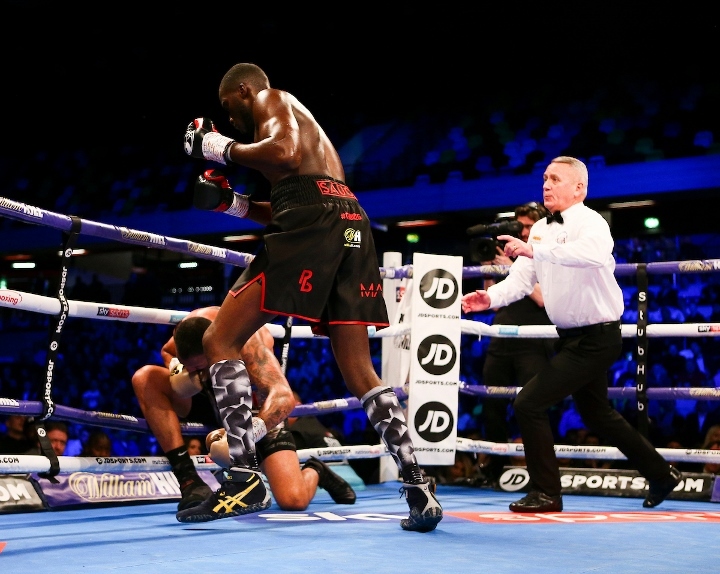 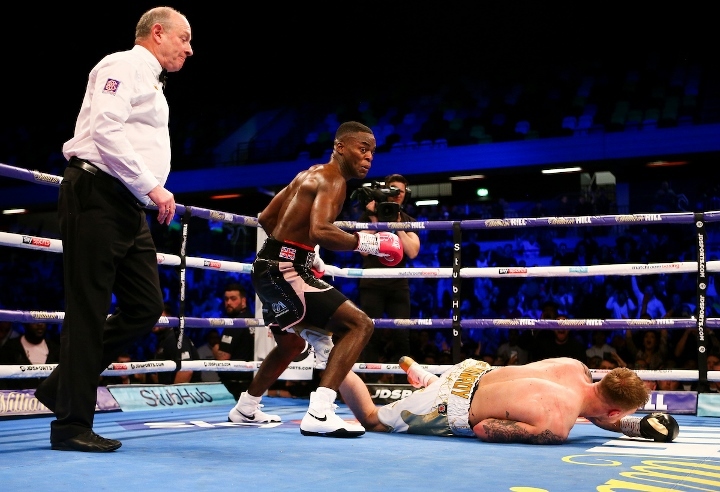 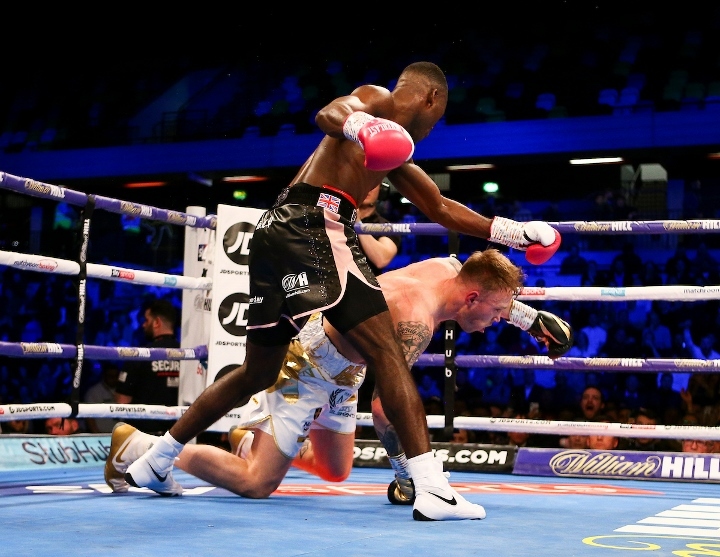 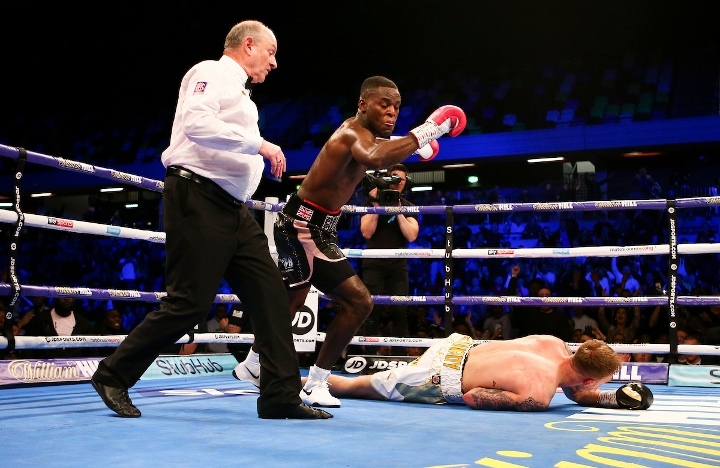 A jolting right-hand over the top of Conroy’s jab badly buckled his legs in the third and as he appeared half-kneeling and likely to hit the canvas, Buatsi made sure with a follow-up left hook. 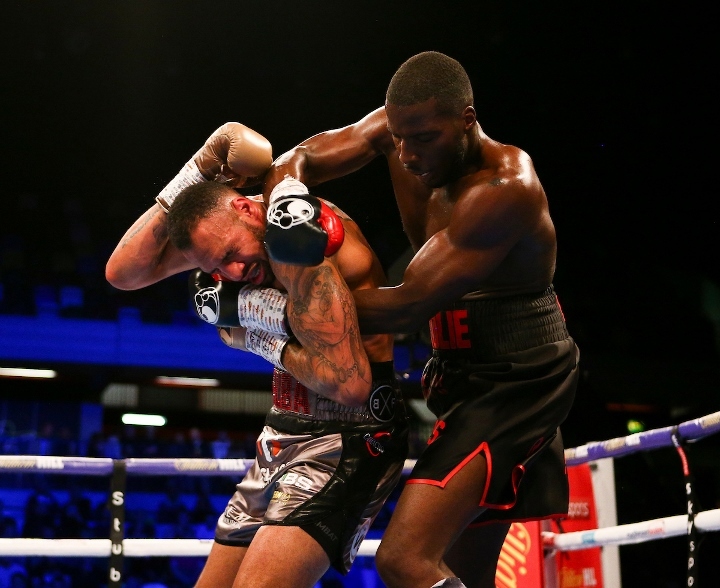 Conroy rose bravely but a pulverising right-hand deposited Conroy face first on the canvas and the referee Phil Edwards wisely called a halt to the fight at one minute and 53 seconds into the round. 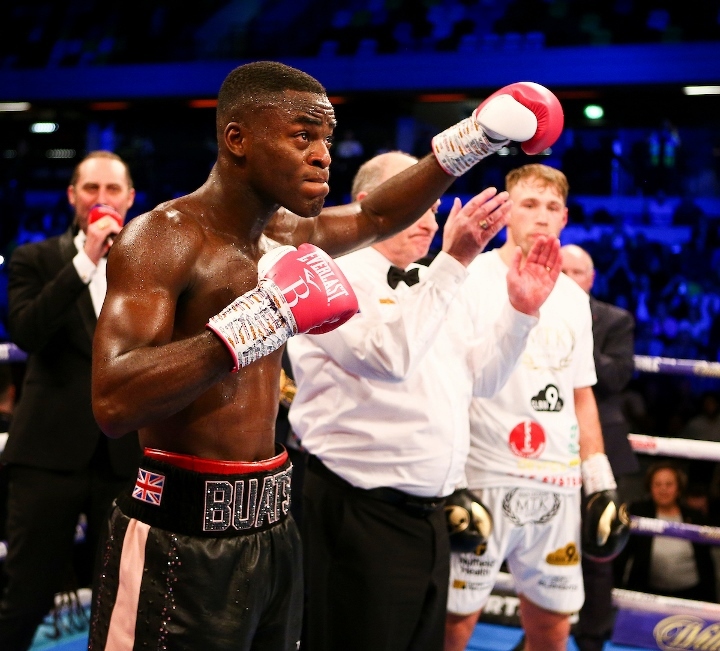 Buatsi was composed and modest afterwards, saying he has a “long way to go” and looks forward to possible spot on the Joshua vs Miller card at Madison Square Garden on June 1st. 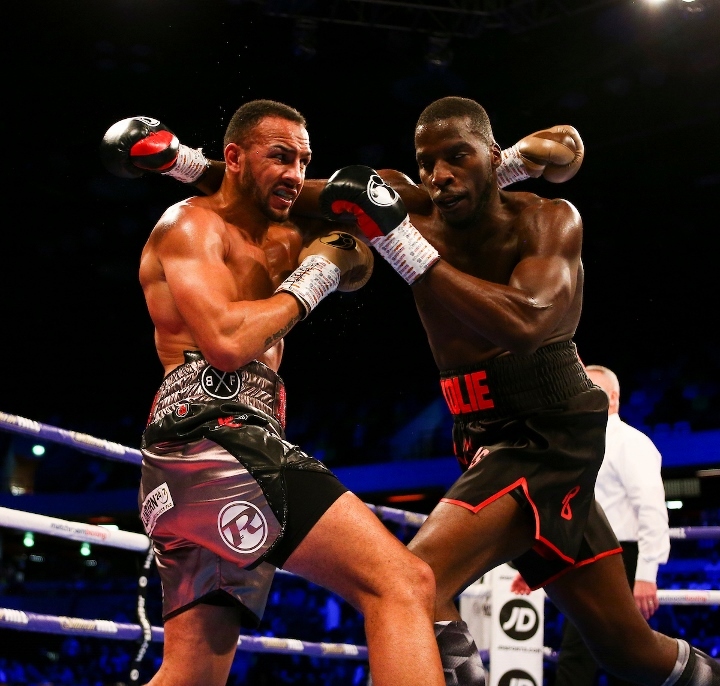 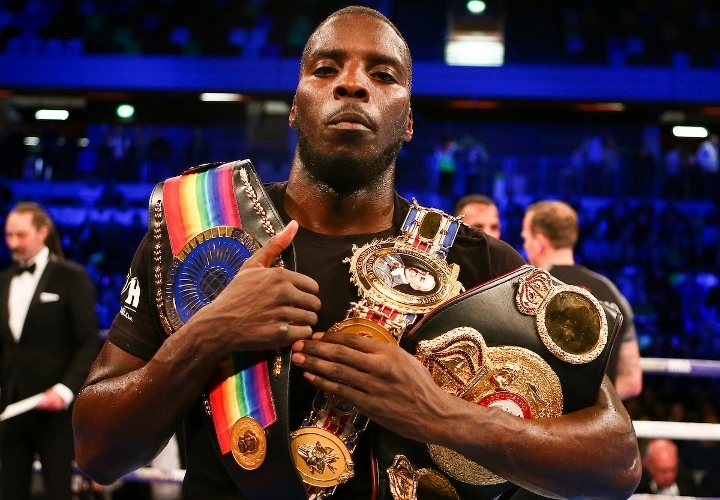 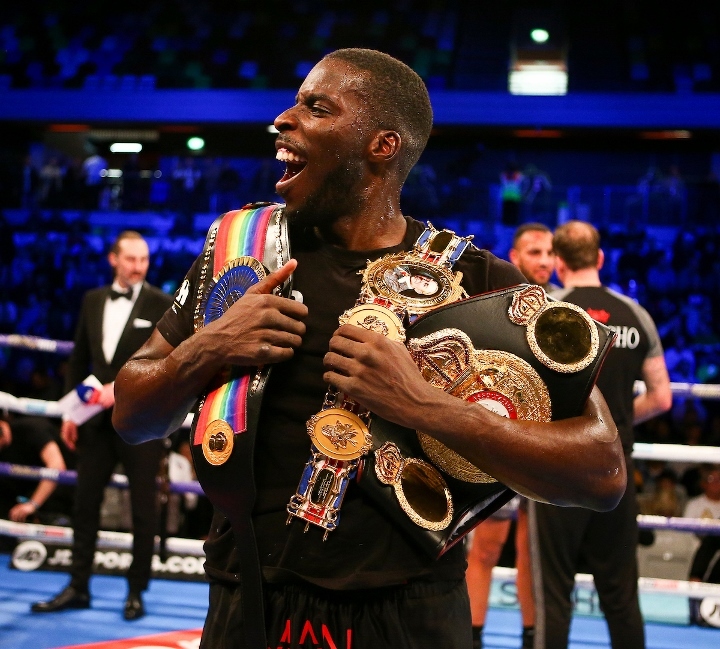 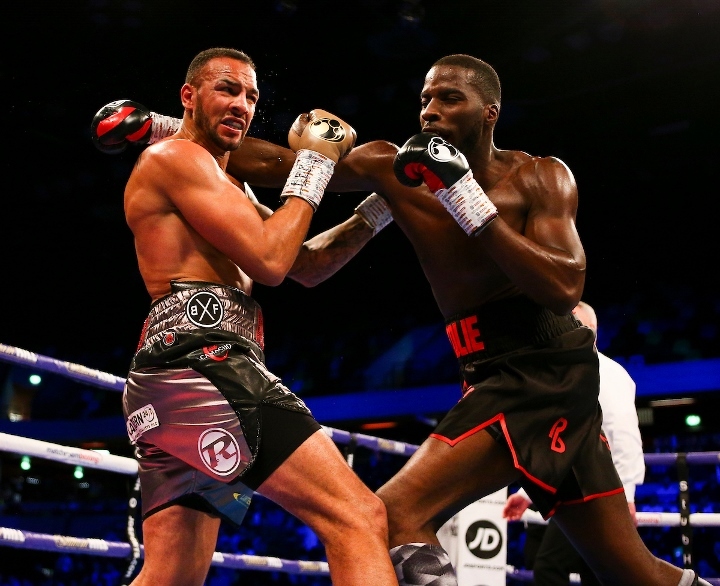 London’s Lawrence Okolie (12-0) successfully defended his British cruiserweight title for the first time while also winning the commonwealth belt with a scrappy but effective fourth round stoppage of Wadi Camacho (21-8). 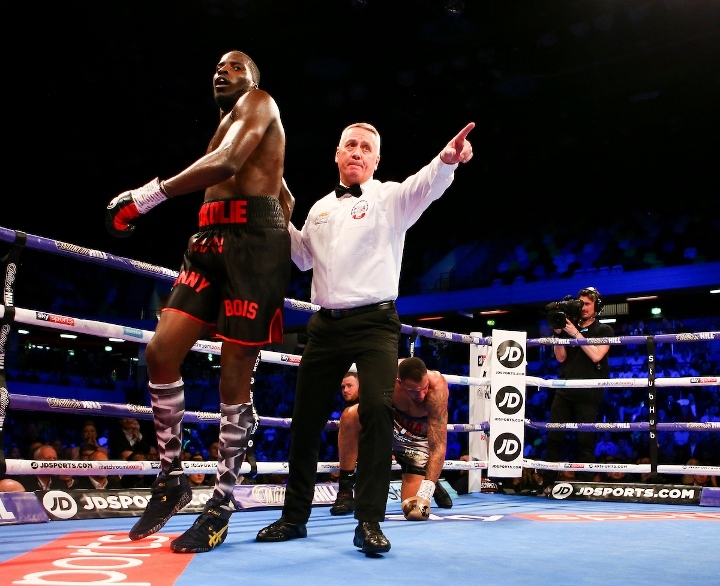 Okolie hurt Camacho with a left hook in the opener and won the round with unorthodox, high-tempo pressure, before shaking Camacho several times in the second with his straight right. 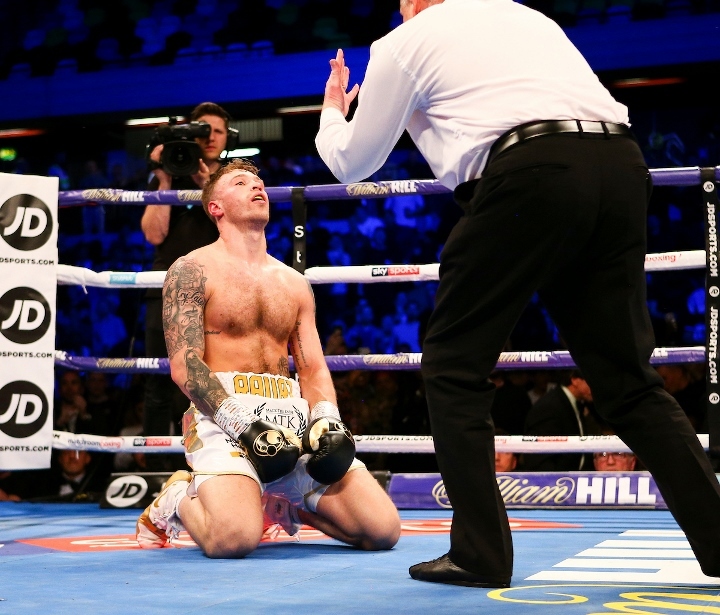 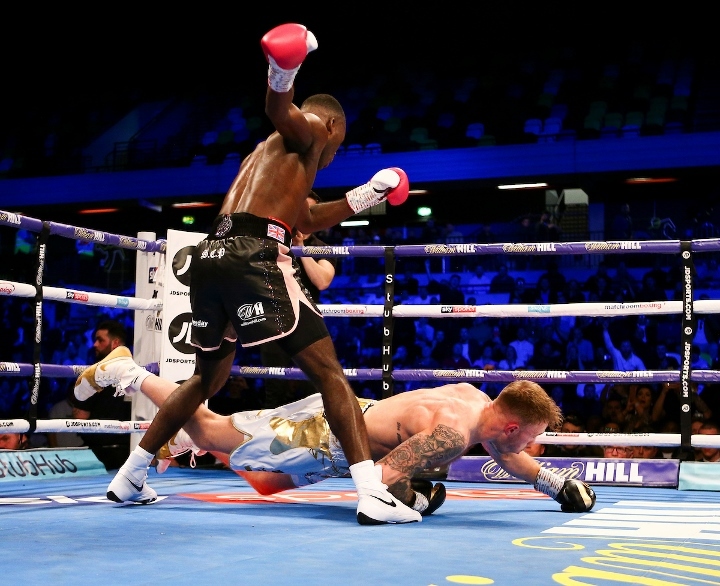 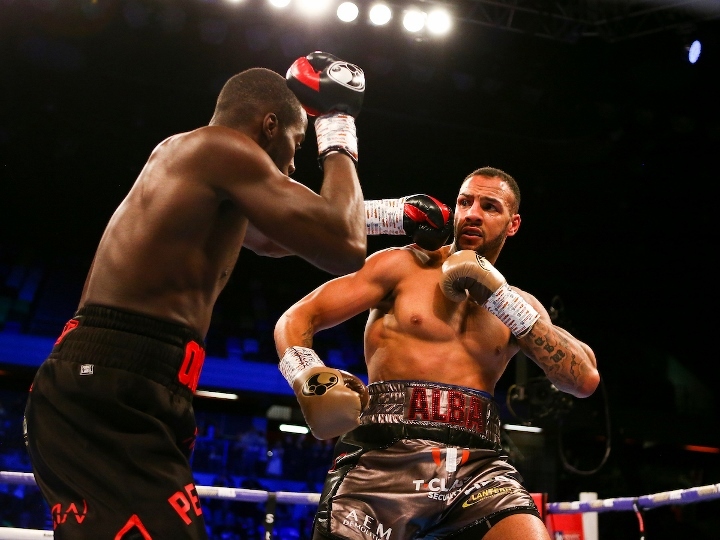 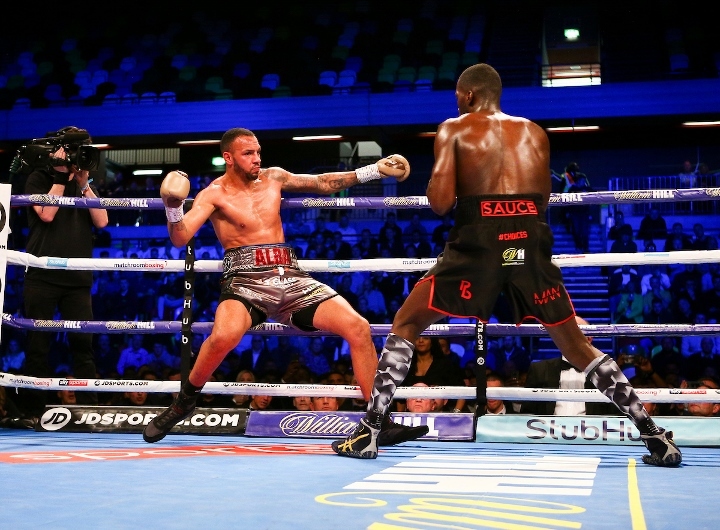 As Okolie looked to be on the verge of a stoppage, the southpaw Camacho landed the best punch of the third - a counter left - which momentarily stunned Okolie and brought his right hand up to defend more tightly for the remainder of the session. 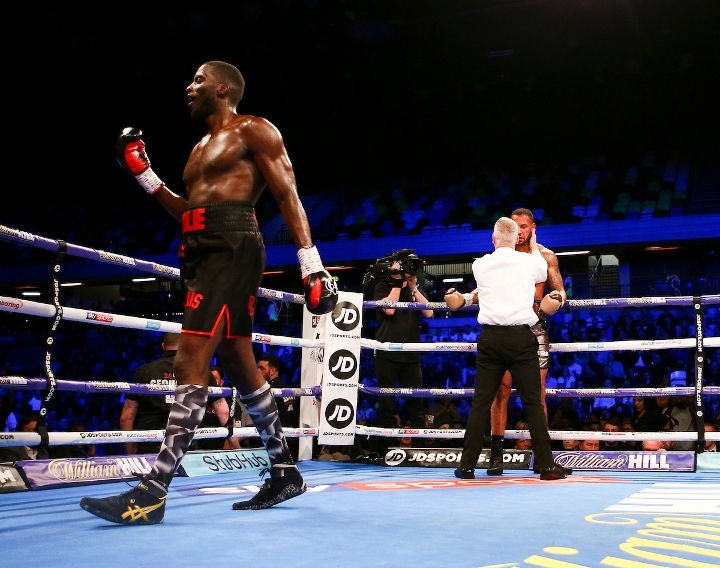 The end came in the fourth when Okolie landed a solid right-left-right which saw Camacho sink to the canvas. 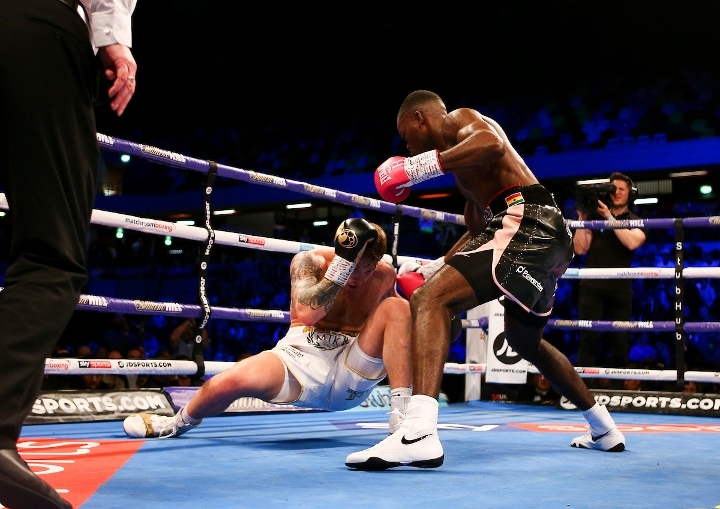 The commonwealth champ rose at the count of nine-and-a-half, taking one more follow up right hand before lurching to the ropes and the referee waved the fight over at 2 minutes. 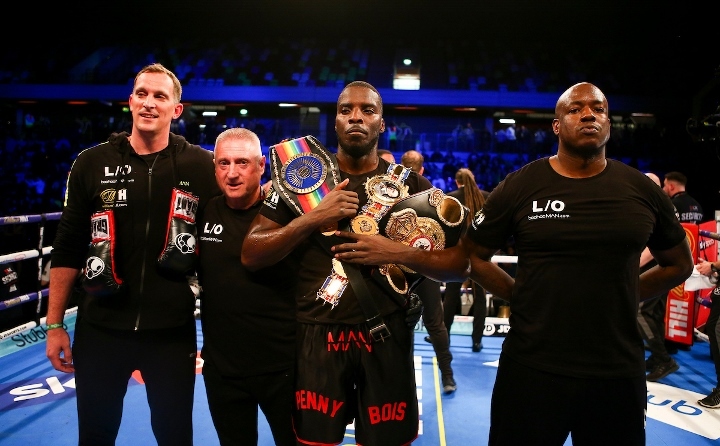 Okolie takes his undefeated record to twelve fights and indicates he now wants to look beyond British title level and may promoter Eddie Hearn indicated that the team may target Denis Lebedev. 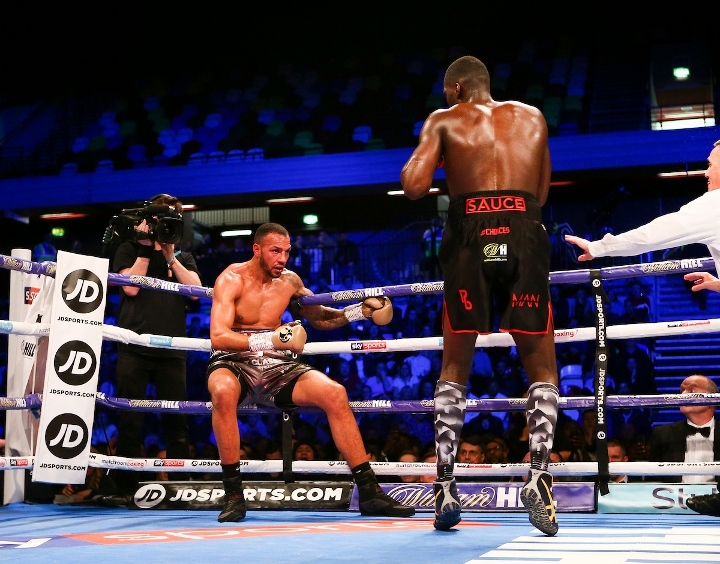 At the age of 33 and with several tough fights behind him and having become something of a gatekeeper for emerging talent, Camacho may decide to hang up the gloves.